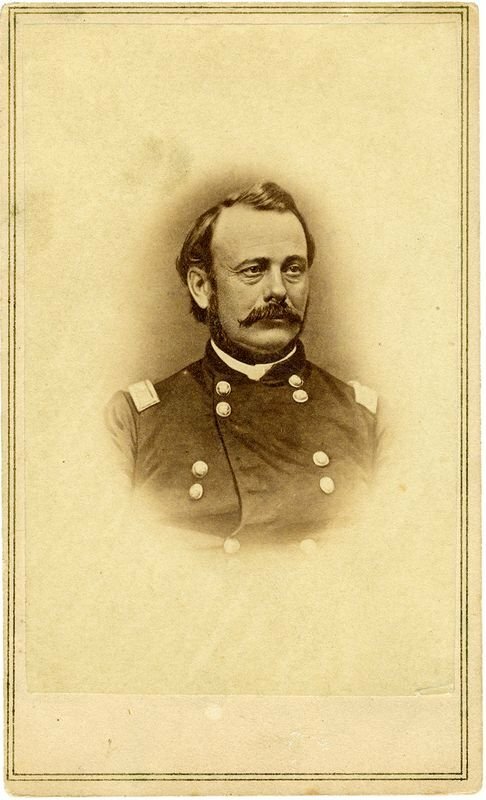 Late on the night of February 1, 1863, Major General Lovell H. Rousseau arrived in Lancaster, Pennsylvania, for a brief but planned stop on a journey from Tennessee to New York. The general had received national attention as a loyal Democrat and border state warrior who helped secure Kentucky for the Union, but his Lancaster hosts knew the “gallant Rousseau” better for the men whom he commanded. Under Rousseau, the “Lancaster County Regiment”—more formally known as the 79th Pennsylvania Volunteer Infantry—had fought its first battle four months earlier near Perryville, Kentucky, on October 8, 1862. In that battle, the regiment lost over one-third of its number as casualties in a successful stand against repeated Confederate assaults. There was an appropriety in the occasion which was felt no less by the General than by every member of the Band. He had heard them play these same airs when both together shared the privations and dangers of the battle field, and they had seen the gallant soldier as cheers from the whole line indicated how warm a place the Kentucky patriot and soldier held in the hearts of the men of his Division. It was a meeting of old friends and a waking up of old reminiscences. And we need hardly add that the Band did full justice to its reputation on this interesting occasion. The general responded by praising the Lancaster County Regiment, saying "a better drilled, more thoroughly disciplined, and braver body of men could not be found in the army." Furthermore, Lancaster should be proud of Col. Hambright, "for the rebels had never yet seen the backs of the 79th. P. V." Afterwards, Rousseau greeted many Lancasterians in the parlor of the Caldwell House, sought treatment for the throat ailment for which he was traveling to find a cure, and left the following morning on a train to Washington (not New York, as originally intended) in the company of journalist Josiah Rinehart Sypher and Lieut. 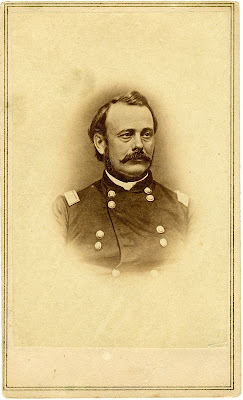 Samuel L. Hartman--a 79th Pa officer on his staff. Rousseau’s visit represented a public testimonial to the Lancaster County Regiment’s sacrifice at Perryville and the community’s commitment to remember it. It showed how a regiment’s participation in a battle, even one that received relatively little national attention, still impacted the community five hundred miles that sent it off to war. Presumably, this was an opportunity for at least a few men and women from families directly impacted by the Perryville casualty list to publicly remember their loss. In addition to showing the notion of battlefield sacrifice as a central theme in commemorative appeals, General Rousseau’s visit illustrates a complex and evolving relationship between home front activities and support for soldiers from that community. From a purely political perspective, though, the parties generally desired to tether Lancaster County’s natural support for its own regiment to their own party platforms. Both Democrats and Republicans, who aligned with War Democrats to form the Union Party, attempted to appear as the regiment’s true home front advocate and the soldier’s friend. As the battle’s memory formed in the weeks and months succeeding October 1862, a variety of factors helped Republicans to depict the Democrats as outsiders looking in, as exemplified by accusations surrounding General Rousseau’s February 1863 visit.